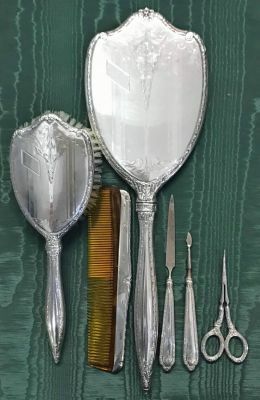 Sterling silver 6 piece dresser set. International Sterling Silver Co., circa 1935. Brush, mirror, comb, nail file, cuticle tool and nail scissors.